Ever want to be like Poison Ivy and just become part-plant? Now you can (sort of) with this amazing, completely plant-based makeup line. 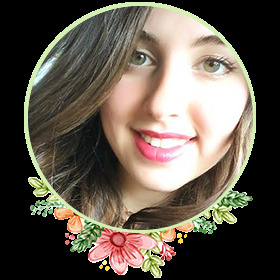 Plant Makeup (or Good4You on Etsy) is one of those brands that will make you feel like you belong in an enchanted forest somewhere. I'm absolutely in love with their line and adore the way they present themselves with stunning, crisp images that make me want to buy their whole collection (seriously, you need to check this company out). Want to see which goodies I got, what I thought, and receive a discount code for your own first purchase with Plant Makeup? Then keep reading greenifiers! One of the most inspiring makeup companies I've ever reviewed, Plant Makeup is fully dedicated to communing with nature in a way most conventional beauty brands wouldn't dream of. In 2004, Jes, the company founder, began her journey with Plant Makeup (then only known as Good4You). She became interested in the healing power of plants when she discovered the language of plants in a medicinal herb greenhouse. Fascinated, she felt driven to "be the voice of nature in our modern era" and started an organic line of herbal teas. This slowly transitioned into beauty products and botanical fragrances that incorporated ancient beauty secrets, as time went on. Her shop is flourishing, and she has sold over 8,000 products on Etsy alone. Using only the highest quality plants she has either grown, foraged, or bought, her products practically scream authentic. After all, she puts in a tremendous amount of time to grow, pick, and create all her makeup ingredients. If that's not enough, she's also an advocate for conservation and because of this, her products are often small and seasonal. The coolest part about all this? 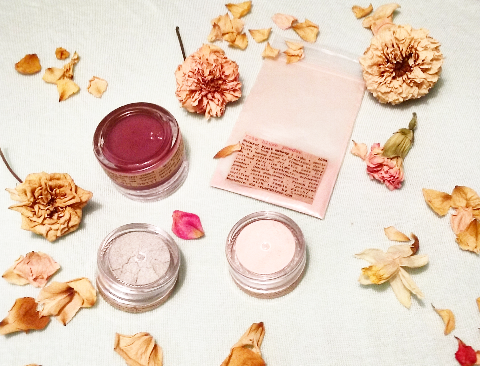 Plant Makeup products come wrapped in up-cycled/ recycled/compostable packaging that's bike-peddled to the post office, then sent to you. 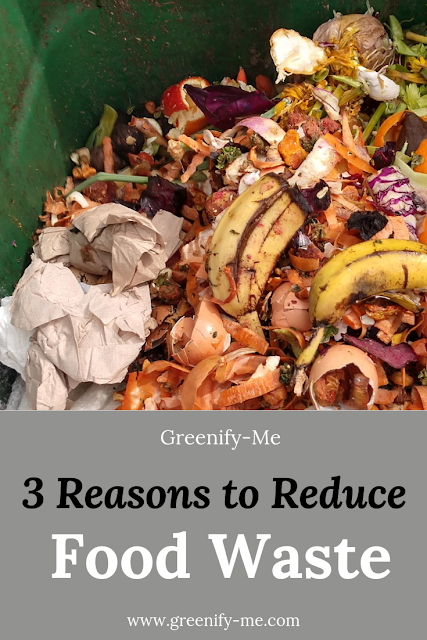 How eco-friendly can you get? Jes is also an artist, so her beautiful artwork will often appear alongside your goodies (I got a stunning rose sticker in mine that she made herself). You can see more of her artwork and amazing products on her website, or on social media. Check her out on Instagram, Twitter, or Facebook. You won't be sorry. Bonus - Discount code: Want 15% off your first purchase with Plant Makeup? Thought so. Just use this code to get it: PLANTMAKEUPLOVE. It expires 12/31/16, so enjoy it before the year is up! This code works on their official website, but doesn't appear to work on their Etsy. Why you want it: This beautifully scented lip balm will leave your lips nourished and smooth, without any stickiness. My review: The color of this lip balm is such a pretty grape color that the scent actually reminds me of grapes. I have to keep reminding myself it's lilac. Either way, it's a lovely scent and a great lip balm. I just use my finger to scoop some out, then swipe some on my lips. It's very nourishing and provides my lips with instant hydration. Out of all the lip balms I've ever used, this one literally gets absorbed into my lips. I can feel it working on my lips in a way other lip balms do not. It will dissipate as time goes on, and it doesn't last too long, but I'm okay with that. Every time I use it, it makes my lips feel a thousand times better. I don't really use it for its color: It's not very pigmented and leaves a very clear, barely visible coat on my lips. However, I'm kind of glad it didn't have a strong pigment because it brought out the natural, beautiful color of my lips. It made me appreciate them just as they are. Plus, it didn't make my lips feel sticky (and they were totally boyfriend approved, ahem). I truly recommend this lip balm to those who suffer from flaky, dehydrated lips, or simply want to prepare for the colder months ahead. After all, fall and winter tend to be harsh on not only your skin, but your lips too (they're very sensitive to temperature changes, after all!). Purveyed certified organic + fair trade virgin unrefined cold pressed coconut oil from the Philippines (Cocos nucifera), purveyed certified organic + fair trade cocoa butter from Peru (Theobroma cacao), local beeswax from USA + purveyed certified organic alkanet powder from Pakistan (Alkanna tinctoria) + love. Why you want it: For the days you want to connect with your inner sea siren. My review: What's interesting about Plant Makeup is that most of their products are very light, not just in color, but in pigment. This eye shadow is no different: I had to apply layers of it in order to really get the color on my lids. The color is more subtle than I was expecting. I would've liked it to be a little more pigmented so I could see the pretty sea foam color on my eyelids better. In the container it's a more distinguished sea foam color, but on my skin it almost appears white. It applied smoothly, but it was a little crumbly and I had to be careful trace amounts of it didn't fall on my cheek. After application, I found myself wiping my cheeks a lot because it would crumble onto them. Altogether, it wasn't a bad experience, but not exactly the one I was looking for. However, I will say this: There's something about this eye shadow (along with all the other makeup), that has a spiritual vibe to it. I have a feeling Jes put a lot of loving intention into making each batch. Plus, the plants she used were very pure, which would definitely create a higher vibration. After all, the part I love the most about this eye shadow is the ingredients list: It's pronounceable, safe, and natural. The ingredients list even tells you where everything is sourced from (most businesses would never do that). I can feel safe about putting this eye shadow on. Not to mention I have other eye shadows that go great with it that bring out its color. I recommend this eye shadow to anyone who's looking for a loose powdered, sea-inspired shade that's subtle, but elegant. 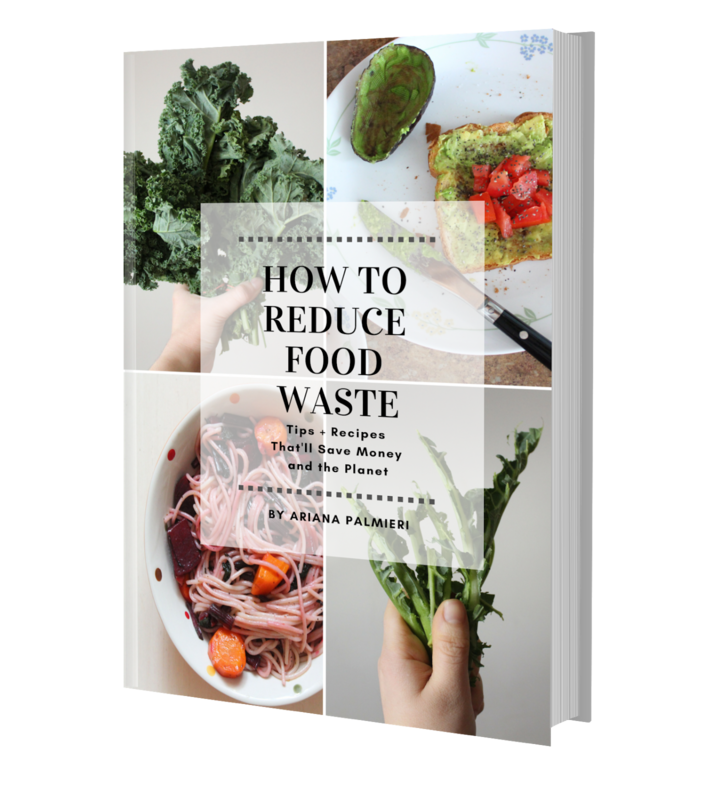 Not to mention, this particular product is vegan (not all their products are vegan, but here's a vegan guide they created to show you which are), cruelty-free, non-GMO, and handmade. If that's not something to love, I'm not sure what is. Sustainably sourced kaolin clay from USA, ethically wild harvested chlorella from Japan (Chlorella vulgaris), purveyed certified organic aloe vera powder from India (aloe vera), sustainably sourced French green clay + love. Why you want it: You get to paint your eyelids with literal roses - what can be better than that? 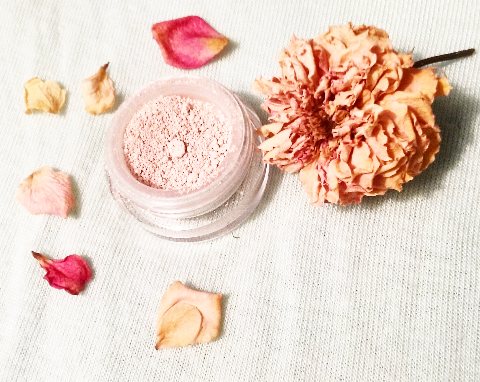 My review: Roses are my weakness, so of course I had to give this eye shadow a try. It's all well and good when a product is named after a flower, but when the flower named is actually in the product, it's something to get excited about. When applying this beautiful, lightly colored eye shadow, I quickly realized it was identical in application to the sea foam eye shadow. It wasn't very pigmented, and had a slightly drying, crumbly feel to it. Often times it would fall onto my cheek. While I didn't mind that too much (easy enough to wipe off), I would've liked to see the pink color just a little bit more. I had to really layer it in order to get a nice shade of pink on my lids, but even then it was almost white in color. I think if I ever order more eye shadows from this company, I'll try out the darker colors (despite my love for all things rose). It's clear that what they said on their website is true: Their makeup applies very light to the skin, considering they don't contain any harsh chemicals. Since their main ingredient is plants, they cannot achieve the crazy colors most conventional makeup products do. This is important to note when buying any of their products. So while I wish this eye shadow was a little more pigmented, I understand why it's not and value the standards Plant Makeup lives up to. That said, I still recommend it to the fellow rose fanatics out there! 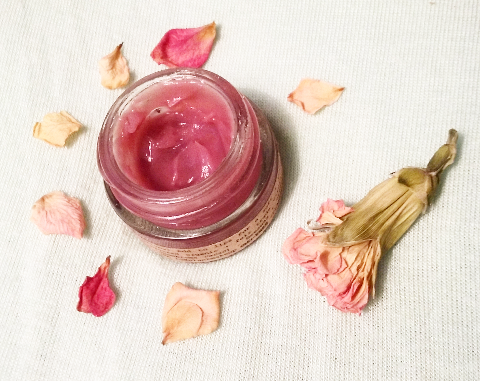 Naturally occurring kaolin clay from USA, purveyed certified organic rose petal powder from Morocco (Rosa Damascena), sustainably sourced French red clay + love. Why you want it: This subtly colored blush is just enough to give your cheeks a gentle pink tint. My review: I received this as a sample version, instead of the full size, but I still have some left over. It's a cute little sample, and if you're interested in sampling any of their products, you can find most of them here (they usually cost about $3 each). Here's the funniest part about this powder though...it's essentially the same thing as the rose eye shadow powder. Look at the ingredients list below and you'll see it's practically identical to the rose eye shadow powder, aside from one ingredient: Pure sericite mica. It sure applies the same way though, in the sense the pigment is light. I had to layer it on my cheeks in order to see any difference (my skin is fairly light, so that didn't help much). I should've realized that this blush was pretty much the same as the eye shadow, but again, the allure of the rose caught me. Not like there's anything to worry about, the ingredients are all the same, making them 100 percent safe. I think next time I'll give a darker blush from them a try, like their light beet blush powder or their hibiscus blush powder. Still, with that said, I don't necessarily regret getting this blush because I can also use it as a body highlighter, or as a replacement for the rose eye shadow when it runs out (or vice versa). I recommend this to anyone who enjoys roses just like me, and loves subtle, light hues to compliment their already gorgeous skin. 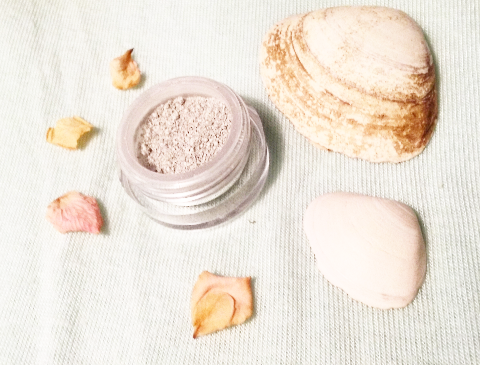 Purveyed certified organic arrowroot powder from India (Maranta arundinacea), purveyed certified organic rose powder from Morocco (Rosa damascena), sustainably sourced French pink clay, pure sericite mica + love. The pros: The pros heavily outweigh the cons. I really admire Plant Makeup's standards for clean beauty. I still have more left over from each product. I really loved how plants were incorporated into each product and how incredibly simple each ingredient list was. The packaging was beautiful, completely eco-friendly, and included stunning artwork Jes, the founder, made herself. I love how Plant Makeup also provides a Vegan Guide for those who want to buy vegan-only makeup. Jes was very kind and accommodating to work with, especially when she gave me a 15% off code to share with all of you (PLANTMAKEUPLOVE)! Speaking of discount codes, this is the first company to ever give me one to share with all of you, and that deserves a shout out on its own! Each product is fairly affordable ($20 max). 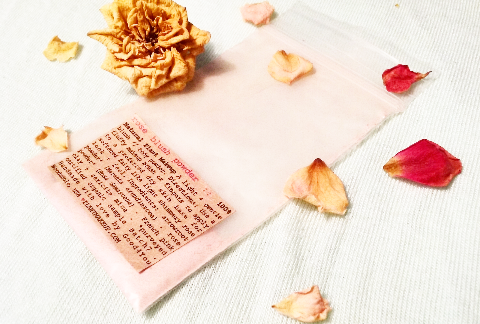 If you're spiritual, you'll love these products because they vibrate at a very high level (probably because they're made out of high quality plants and infused with love). Purchasing these items would only help Jes create more of these amazing, plant-based products. The cons: Barely any cons (I mean seriously)! I would've liked the products I got to have a little more pigment, but to be fair the site does say their products have a lighter pigment than conventional brands. I wasn't too crazy about the crumbly nature of the eye shadows and the blush: When I applied the eye shadows and the blush it kind of dried out my skin a little and the eye shadow would crumble onto my cheeks a lot. I kind-of, sort of, accidentally got two products that were practically identical (the rose eye shadow and the rose blush), but I'll be sure to make the most of them! Conclusion: All in all, I cannot complain. This company is definitely worth looking into, and I can see myself ordering something from them again soon. After all, there's more than just makeup to try! Jes has so many things for sale from makeup to skincare to aromatherapy blends. It would be hard to resist trying them all! I truly wish Jes the best and greatly admire the journey she is on. She's an inspiration to me, and one day, I hope to find an even deeper way to connect with plants and nature, just like she did. For now, this blog (and my container garden) will have to do. Thank you for reading! ^_^ Glad I could spread the word.